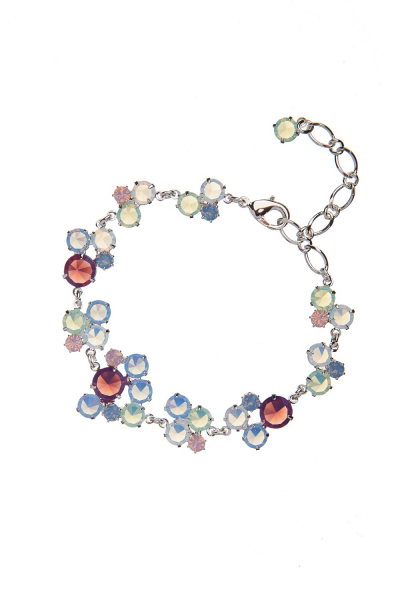 Elegant bracelet made from Czech rhinestones. White, pink, green and blue opaline. Lenght 15 cm plus 5 cm adjustable chain. Silver plating. Original Odvarka design.